Midtown Dentistry in Houston, Texas, recently welcomed Dr. Ori Shalev onto their team. 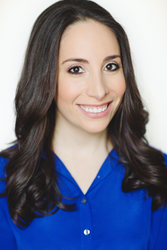 As Dr. Shalev has a perfectionist’s eye, she is sure to be a great addition to Midtown, a clinic highly renowned for its excellence in advanced dentistry techniques. Dr. Shalev is a Texas native, and grew up in Dallas. She originally came to Houston to study at the University of Texas, and graduated with a Bachelors of Business Administration in Finance. While studying she realized her real passion lay in dentistry, and she went on to receive a Doctorate in Dental Surgery from the University of Texas Health Science Center at Houston School of Dentistry. Dr. Shalev practices cosmetic and restorative dentistry, and is a member of The Greater Houston Dental Society, and the Texas Dental Association. Over the years Dr. Ori Shalev has found time to give back to local communities, volunteering for the ADA’s Give Kids a Smile events, as well as for Healthcare for the Homeless. She has also participated on a humanitarian trip to Panama, providing dental care to local communities. Away from Midtown Dentistry, Dr. Shalev likes to relax with friends and family, loves skiing and swimming, and she takes every opportunity to travel with her husband. She also has an interesting hobby that is the perfect complement to her busy lifestyle, as Dr. Ori Shalev is trained in aerial fabric and has the enviable ability to dance high in the air. Midtown Dentistry in Houston, Texas is one of the top dental practices in the area. Its principal dentist is Dr. Jonathan Penchas who has been voted one of the best dentists in Houston. Dr. Penchas is a Prosthodontist, and just 2% of dentists in the country are qualified in this specialty. Midtown Dentistry has the most up-to-date treatments to restore smiles, and can offer busy patients conveniently late or early appointments.